Scientists have reset the Doomsday Clock: it is now 2 minutes before midnight, the same time as last year. Apart from 2018, this is the closest to midnight the clock has been since 1953, after the US for the first time achieved a thermonuclear explosion. A new nuclear arms race between the US and Russia threatens the cities of Europe. 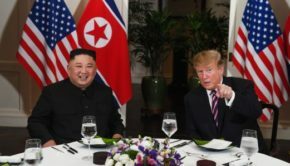 The threats to withdraw the US from multilateral agreements for nuclear disarmament like the Iran deal and the INF Treaty, contributes to the growing tensions. This is the moment for the Dutch government to show leadership together with other European countries by ending their obstruction to the Treaty on the Prohibition of Nuclear Weapons and make it clear they will not participate in a new arms race. Away from the media spotlight, massive progress is being made by a broad coalition of people dedicated to prohibiting and eliminating nuclear weapons. Nuclear weapons are inhumane weapons of mass destruction that targets civilian populations and their use will violate international laws. The threat of Doomsday will exist until we eliminate these weapons. It is the only sane thing to do. So while the US and Russia embark on a new nuclear arms race, 70 countries have signed the Treaty to ban nuclear weapons, cities and regional governments are committing to the Treaty, and banks and pension funds are divesting from the nuclear weapons industry. There is so much work still to be done to save us from these reckless nuclear armed states, but today is a day to recognise the progress we are making for sanity in the face of irrational threats. The Doomsday Clock was established in 1947 by scientists working on the Manhattan Project, where the first nuclear weapons were developed. Under the banner of the Bulletin of Atomic Scientists, these experts knew better than anyone the dangers for people and the environment these weapons represented and wanted to communicate that to the public. 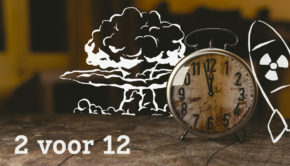 The Doomsday Clock indicates, based on technical and geopolitical developments, how acute the danger of a nuclear disaster is.